Acting quickly and effectively to limit and combat an incipient fire can save your business! Your staff have a crucial role to play. Saval will help your staff overcome the barrier to intervening correctly when a fire breaks out. A brief practical course will familiarise your staff with the use of the small fire extinguishers available at your premises. 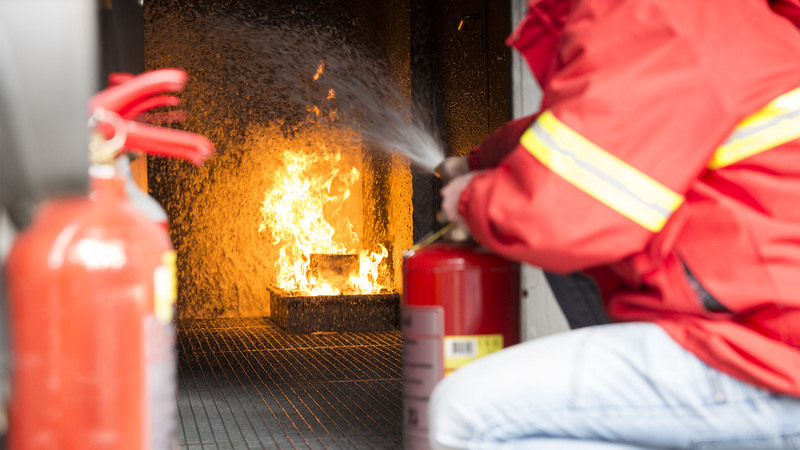 The 'using small fire extinguishers course' can be part of your overall ERT training. Ask us about the options. In the theory section, we give a presentation to clarify the broad concept of ‘fire’ and look in more detail at the different types of fire-fighting equipment and how to use them. We have a wide range of extinguishing objects. 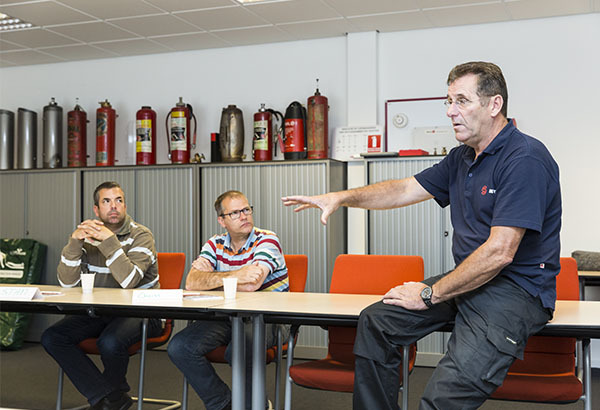 In this way, the participant learns to react quickly and efficiently in various hazard scenarios. Everything is tailored to your company, with the emphasis on the specific hazards within your organisation.